Poor service. High prices. Injustice at best. Seems like these are the hallmarks of some service providers that dominate the landscape. The airline industry. Cable companies. Mobile phone companies. Take a look at Business Insider’s list of companies with the worst customer service. Any of you agree/disagree with me? As a business owner, you cannot help but look at them and know that if you ran your company’s customer service in the way that these companies are run, you would quickly be out of business. If you think in terms of the Big Picture, you are probably wondering where the competition is that would gobble up market share from these behemoths, providing the level of customer care, support and offerings that you feel that you deserve. Where is the breakdown? I don’t know. Collusion, perhaps? Stockholder pressure? Incredibly thin margins due to prior decisions such as high pay, great benefits, etc. for staff? Perhaps managing lawsuits and bribing the government, I mean lobbying? Well, instead of looking at the half-empty glass, what can be learned from the gaps in service? Looking at some of the tools that some if not all of these companies have embraced in the way of efficiency, we can see a number of tools that are being used that actually create a gap between the customer and completing a transaction. This is not to suggest that there is not a “happy medium” between what is being done and what would look like good customer service. Let’s explore a few issues that you may or may not agree with. Interactive Voice Response (IVR) e.g. Voicemail jail: You call the mobile phone provider. 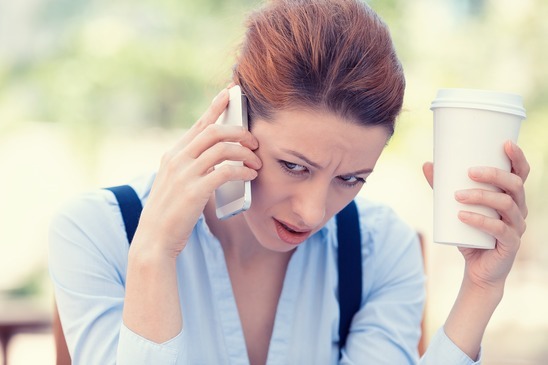 They put you in voicemail jail with an automated attendant that can’t quite get you to the correct department and actually sounds frustrated it has to hand you to customer care – but with one more question before doing so?! Are there benefits to the consumer with the IVR? Certainly…you can yell, scream and swear at it and it will get confused and either hang up or send you to customer care. What is the lesson? There needs to be a very strategic balance in using automated responses. The IVR will ensure that every call is answered, but an individual’s experience in the IVR cannot be a burden. If your system is too complicated, it may be better to resort to the old-fashioned human being. No Progress or Leap Frogging: Once you have gotten through to a human being with your concern, sometimes actually getting your issue in front of the right person is difficult; your call gets routed from customer care to technical support to billing to equipment…every time you have to repeat your issue or worse yet, provide your information. Use the most direct route to solving problems; don’t solve them on the customer’s dime. There are several issues here: The first has everything to do with training: getting the right information to your front-line team and keeping them updated as new information or new scenarios present themselves. The second: the customer value chain. A customer value chain focuses on providing or creating value with every interaction with the customer. This is part of the planning process, not an impromptu “leave it to the CSR” issue. The third has to do with speed. One telecom company had an internal slogan to the effect that each employee should find every opportunity to hurry. Customers do not wish to call in about issues to begin with, and when they have issues, they certainly don’t want to be kept waiting. Even if you cannot get to them right away, consider using a ticketing system or something that would allow your customers to share their concerns and have someone get back to them with solutions. etc., has jaded companies to presume that the customer has not done their part. Nevertheless, an exploratory approach looking at all of the possible angles would be preferable to making customers feel inferior. Knowing the Customer: Sears used to have a system that enabled the tech on the other end of the phone to greet you by name and instantly pull up a record of your experiences with them. So if I was calling about my lawnmower, they could instantly pull up my information and would have more information about it than I would – purchase date, serial number, warranty information, prior service, part, etc.. Know your customers; implement a CRM system or a business management system that will put their information at the fingertips of your customer service and technical support reps. Appointment Windows: Soooo, how about the customer’s need to take a half-day off in order to wait for the XXXX repair person? (Feel from to use whatever descriptive term you would like for XXXXX. I am going to say….air conditioner.) One of the cable companies, after many, many, many years, figured out that customers generally don’t like that!! and reduced their appointment blocks to two-hour windows. A rather nice gesture, I think. Another has learned that many of their customers work during the day and would be able to pay their cable bills better if they had access to weekend and evening appointments. So they learned how to be there when it was convenient for the customer (customer service and all) rather than convenient for the cable company. Given that your customers are your source of revenue, wouldn’t it make sense to find a way to meet them where they are? While there are many other opportunities to create wins for your companies, there continue to be those firms with poor service that help us to identify opportunities to be extraordinary, gaining strategic advantage while raising the bar in the way things are done. Glass half full? Thanks to the poor performers for providing the examples of what not to do.